London, UK – 21st March 2018 - MSC Cruises, the world’s largest privately owned cruise company and leading cruise line in Europe and South America, revealed today another industry first with the introduction of a digital cruise personal assistant as a new feature of MSC for Me, the Company’s digital innovation programme. This new and ground-breaking guest service, developed in partnership with HARMAN International a wholly-owned subsidiary of Samsung Electronics Co., Ltd., and leader in connected technologies for automotive, consumer and enterprise markets, will debut on MSC Bellissima, which is currently under construction at the STX France shipyard in Saint-Nazaire, France. The Company also announced that MSC Bellissima, which will be MSC Cruises’ next flag-ship, will be christened in the port of Southampton, UK on 2nd March 2019. The two announcements were made today in London at the launch of MSC Cruises’ new 2019-2020 brochure to travel agent partners and media. The virtual personal assistant for MSC Cruises guests is a conversational, voice-enabled Artificial Intelligence (AI) innovation that can communicate, learn and intelligently predict guests’ needs to make relevant suggestions. 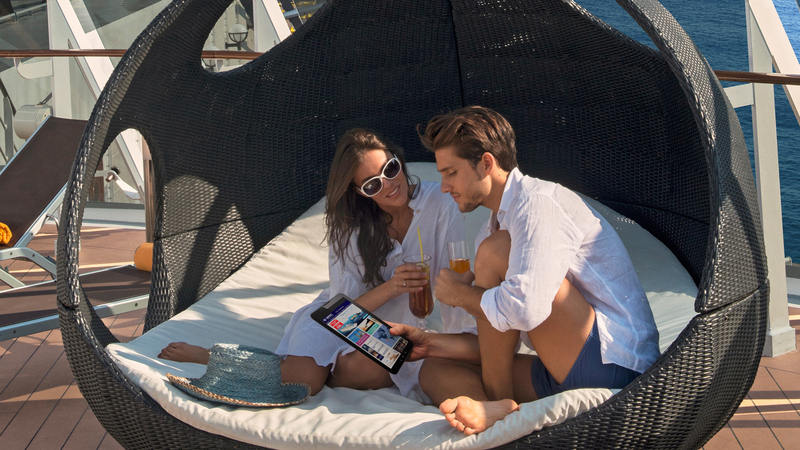 This new and unique offering will provide guests with tailored information to help simplifying and enhancing their MSC Cruises holiday experience by providing quick and easy answers to questions from the comfort of their own cabin. 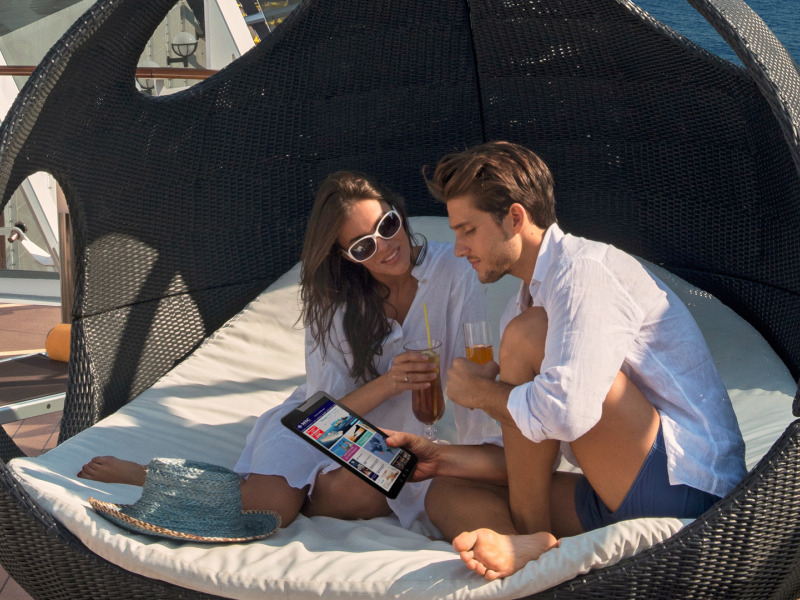 Unlike other home digital assistants that rely on cloud-based programmes with internet-connected devices or applications, this digital offering will be designed around a ship-based solution, customised especially for MSC Cruises’ guests’ needs. The current ways in which guests seek their information on board will be further enhanced, allowing for a uniquely personalised experience. Reflecting MSC Cruises’ truly international onboard offer, guests will be able to communicate with the new digital personal assistant device in seven languages: English, French, Italian, Spanish, German, Brazilian Portuguese and Mandarin. The personal assistant will initially launch on MSC Bellissima, but will be available on all future new ships and plans are in place to introduce the feature on the rest of the fleet. MSC Bellissima will become MSC Cruises’ fourth mega-ship to come into service in less than three years since 2017 and as part of a 12 new ships, ten-year €10.5 billion investment program. She will represent a further evolution of the award-winning Meraviglia prototype as her sister-ship, MSC Meraviglia, which came into service in June 2017 was awarded Cruise Critic’s Editors’ Picks “Best New Ship in the UK” in 2017. Launching as MSC Cruises’ next flagship, MSC Bellissima will be christened in Southampton on 2nd March 2019 at a glamorous event that will be attended by VIP guests from all around the world as well as the UK and Ireland. • Two new shows from Cirque du Soleil at Sea that can only be seen on board MSC Bellissima. The shows are currently under creative development are the result of a long-term partnership with world-leaders in entertainment, Cirque du Soleil and will see a total of eight original productions created for the four Meraviglia generation ships. • The theatre will offer newly devised West-End style entertainment every evening and the iconic LED Sky Screen, the longest at sea at an impressive 80 metres long, will delight guests with a series of exciting animations and shows. • The onboard dining has been further enhanced with the introduction of two new dining concepts - L’Atelier Bistrot, with terrace seating so that guests can enjoy the Promenade as well as the modern, street food inspired Market Street, serving a whole array of tempting delights throughout the day and into the evening. • MSC Cruise’ award-winning family offering will also see some new features including the introduction of a fun Grand Canyon theme for the Aquapark and a host of new magic inspired kids entertainment for kids of all ages. The family deck will include the DOREMI Studio Lounge, a dedicated lounge for all family activities, DOREMI Tech Lab, a must visit destination for kids who love technology, as well as facilities designed in partnership with family experts including the LEGO Group and Chicco. HARMAN International is a wholly-owned subsidiary of Samsung Electronics Co., Ltd. focused on connected technologies for automotive, consumer and enterprise markets. HARMAN (harman.com) designs and engineers connected products and solutions for automakers, consumers, and enterprises worldwide, including connected car systems, audio and visual products, enterprise automation solutions; and services supporting the Internet of Things. With leading brands including AKG®, Harman Kardon®, Infinity®, JBL®, Lexicon®, Mark Levinson® and Revel®, HARMAN is admired by audiophiles, musicians and the entertainment venues where they perform around the world. More than 50 million automobiles on the road today are equipped with HARMAN audio and connected car systems. Our software services power billions of mobile devices and systems that are connected, integrated and secure across all platforms, from work and home to car and mobile. HARMAN has a workforce of approximately 30,000 people across the Americas, Europe, and Asia. In 2017, HARMAN became a wholly-owned subsidiary of Samsung Electronics Co., Ltd.